MOSCOW, September 15. /TASS/. 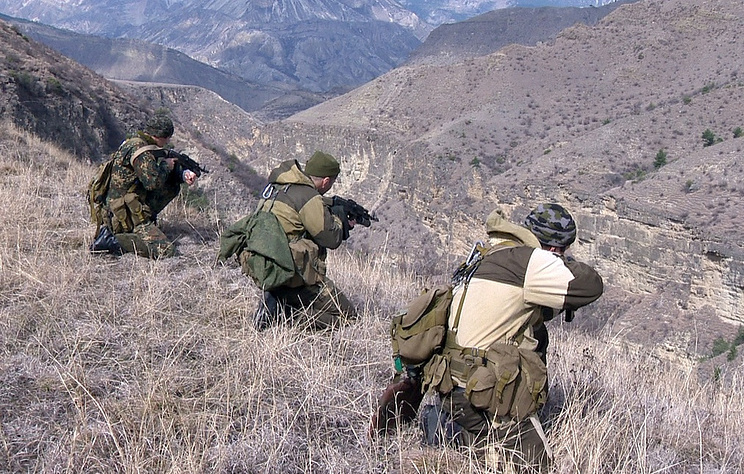 Three militants have been eliminated during a counter-terrorism operation in the area of the Talgi village in Dagestan in Russia’s North Caucasus, the Information Center of the National Anti-Terrorist Committee (NAC) told TASS on Saturday. "During the search measures carried out in a mountain-woody area of the Talgi village the law enforcement forces found out a group of bandits consisting of three people, who opened fire with automatic weapons in response to the proposal to surrender to the authorities. The special ops units of the Russian Federal Security Service neutralized the militants," the NAC said. There were no civilian casualties or law enforcement personnel losses. As reported earlier a counter-terrorism operation was imposed in two districts of Russia’s North Caucasus Republic of Dagestan - Buynaksky and Karabudakhkentsky districts - starting 5:00 a.m. Moscow Time on Saturday due to obtained information about planned terrorism-related crimes.